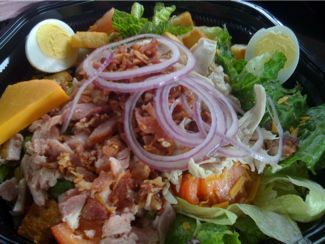 You would never think to order a chef salad from Cracker Barrel but you have to try it because it is REALLY good! My family and I usually order the usual breakfast items which is also very good. When traveling we also plan our stop offs at Cracker Barrel to satisfy our hunger. Great food and friendly service!